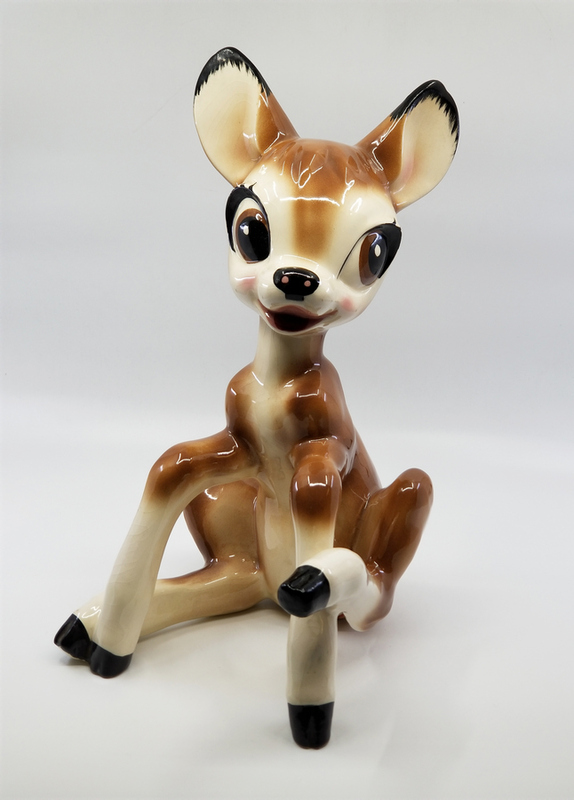 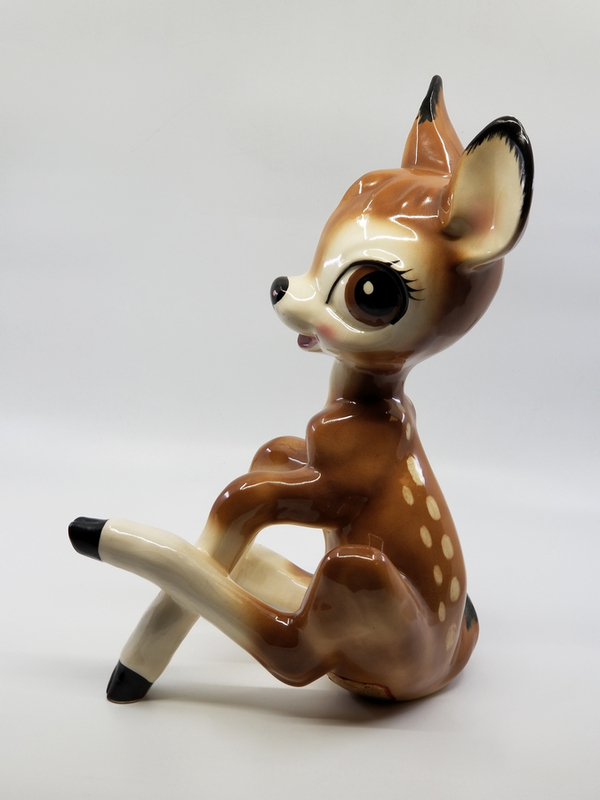 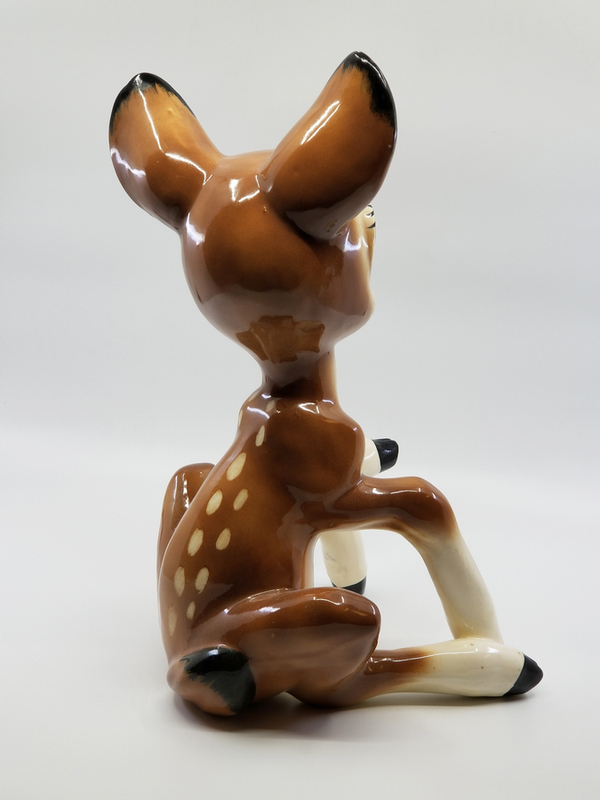 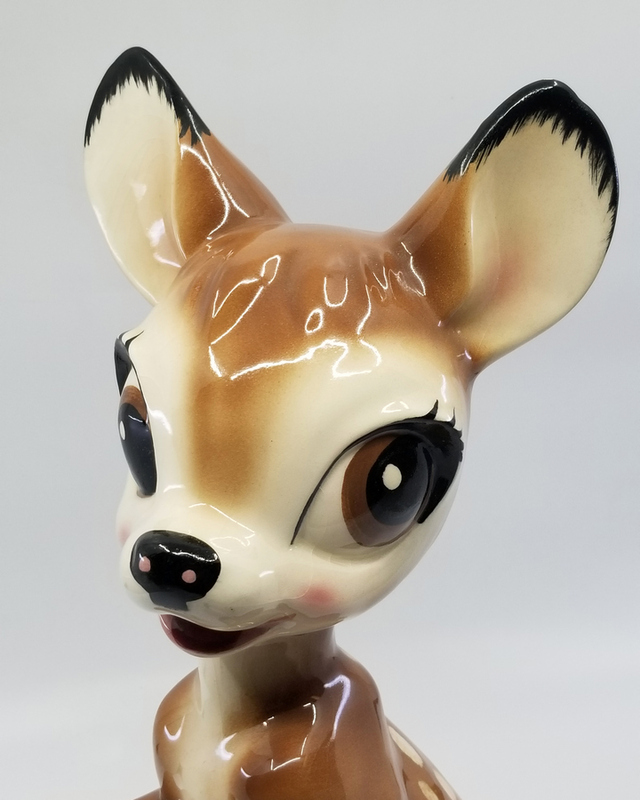 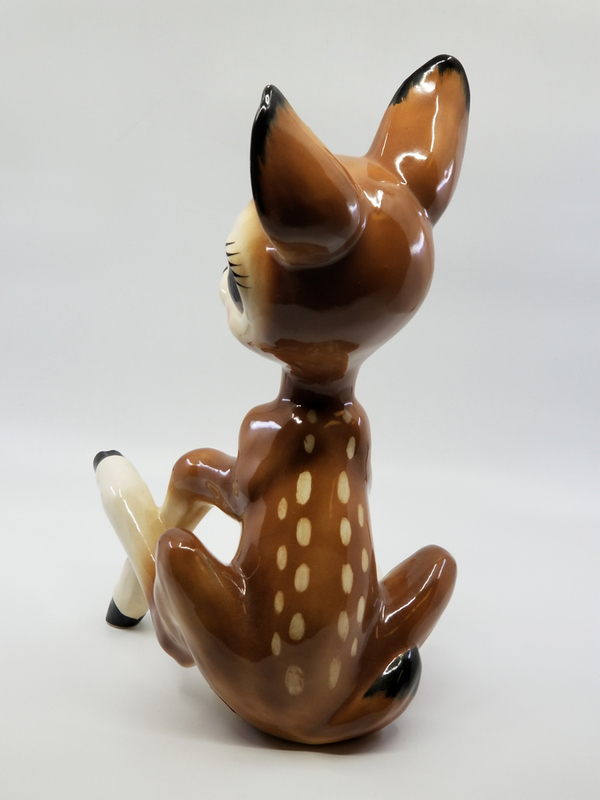 14.5" x 8" x 8"
This is an unbelievably rare ceramic figurine depicting a young Bambi in an adorable sitting pose from the classic Walt Disney studios animated feature, Bambi. 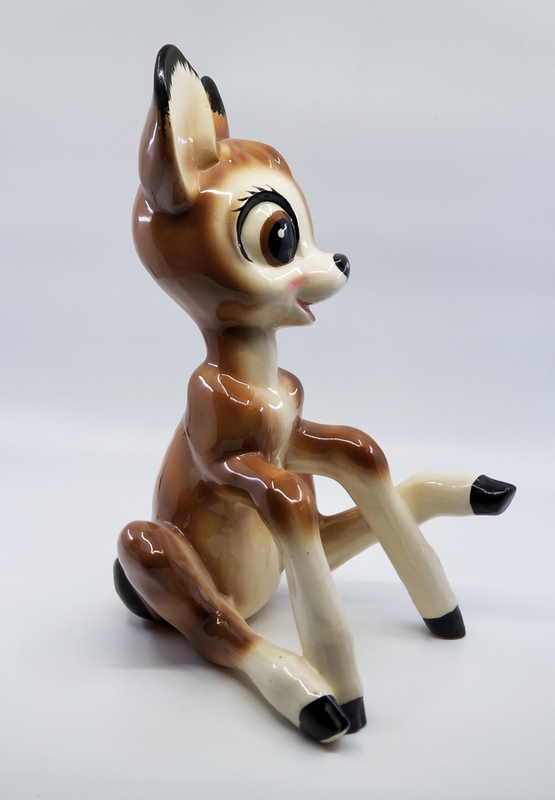 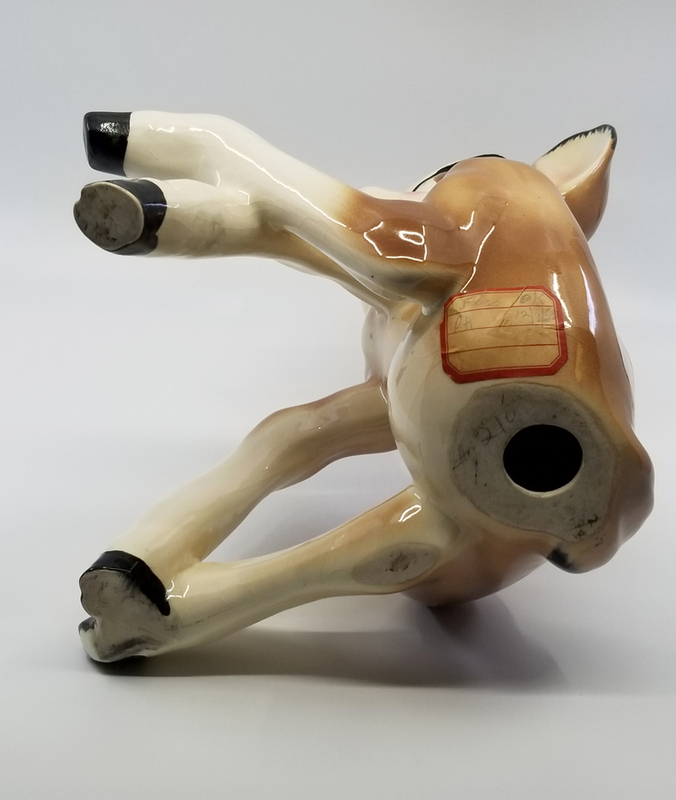 This jumbo figurine was made by the Shaw Pottery in the 1940s and has long been considered one of the more rare Disney ceramics, and rarely does one become available. 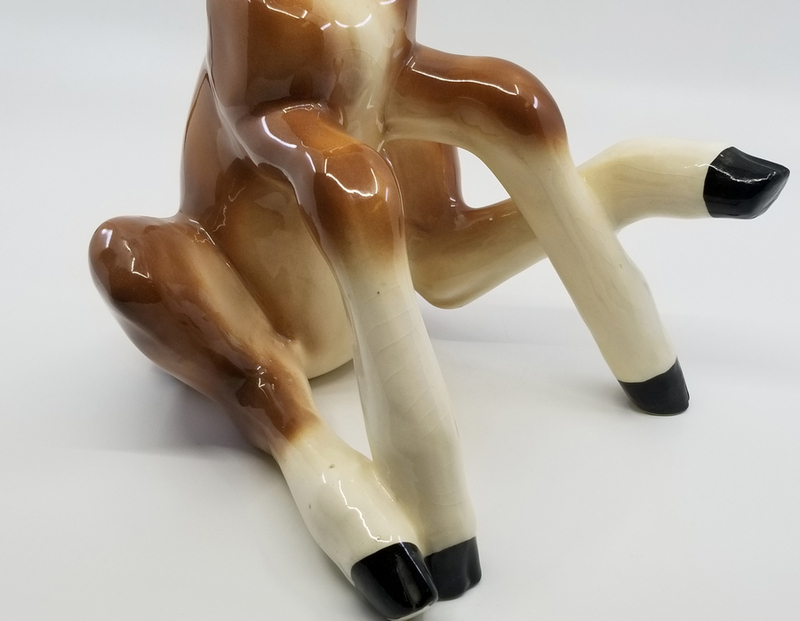 The very large ceramic figure measures 14.5" x 8" x 8" and is in superb condition.